JET Placements 2013 | Suki deshou? Well, the time has finally come to find out where all the new JETs are heading this coming August. The USA started getting their placements on Monday 20th, while the rest of the world looked on anxiously. In Canada, we got our emails on Wednesday carrying the good news. UK, Australia and all other countries are still waiting for their results. So … where am I going? My new home for the year will be the city of Hidaka in Saitama Prefecture. Now wait before you Google it, because I’ve already done that and quickly found out that there is nothing to be seen. The town is really small, about 50 000 inhabitants (roughly the same size as my hometown) and surrounded by picturesque mountains, rivers and fields. 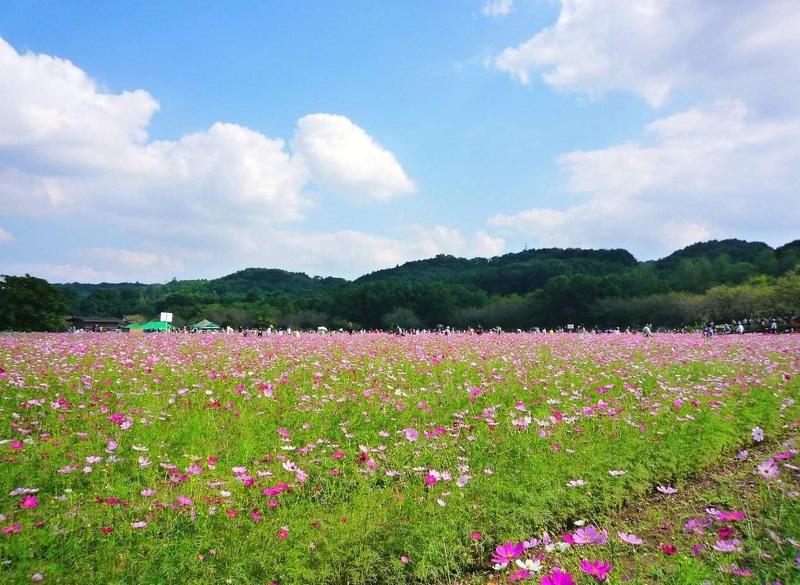 What I gathered from Google pictures of this small town is that thousands of flowers seem to bloom all year-round in Hidaka, and hiking is the #1 diversion for the town dwellers. Hidaka is apparently a tourist attraction for Japanese travellers who enjoy scenic hikes up the sides of cliffs and swimming in shallow rivers. Obviously, I didn’t get any of these choices, and was sorely depressed when I first heard that I was headed for Saitama-ken. This little town stuck in between nowhere and somewhere was so far from Kanazawa (my one true love), that I couldn’t help but shed tears of anguish and disappointment when I found out. I now I should have been ecstatic like all the other JETs from receiving a placement offer, but I was too heartbroken over Kanazawa to really appreciate this opportunity. I think that, had I been given my first choice of placement, I would have quickly fallen into old habits. Kanazawa is very special to me, and holds countless memories of my friends and I, and I think that this could have been more hurtful than anything else. At least I have the consolation that in Hidaka, I can start anew and not worry about seeing my friends’ ghosts everywhere around town. On a happier note, I’ll leave you with some pictures I found of my new home ^_^ I’m sure it will be as wonderful as Kanazawa, and I promise to make the most out of my time there. Tags: Hidaka, Japan, JET, JET Programme, Placements, Saitama, saitama prefecture. Bookmark the permalink. Wow, these are absolutely stunning pictures. I would have loved to get this place! You’re going to Aomori-ken right? I expect you’ll have fields of flowers too, just like in Hokkaido. I’ve always wanted to visit those two prefectures ^_^ Maybe I’ll get the chance to do so this year. Yeah, I’ll be in Aomori! I don’t think they’re known for flowers, but they are known for their apples, snow, and apparently the best sakura in Japan. If you ever want to go skiing, hit me up!